In this area of the Apparel Search fashion brand directory, you will find men's fashion brands from leading apparel companies and fashion designers. On this particular page, you will find information regarding men's clothing with the O'Neill brand. 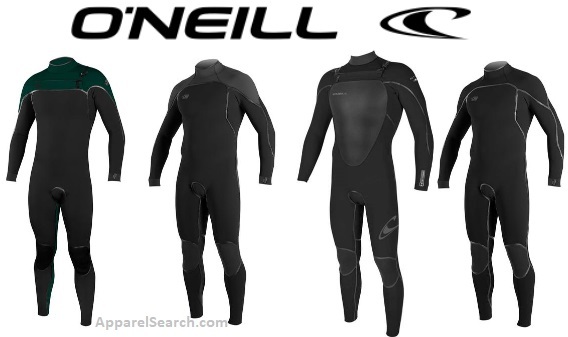 You are welcome to utilize this section of our clothing guide to review O'Neill news, O'Neill blog posts, O'Neill photos, and more. Please understand that you may run into a few photos or a tad of information that does not actually pertain to the men's O'Neill fashion brand. Unfortunately, no search technology is absolutely perfect. We will continue to do our best to bring you as much information about the men's O'Neill fashion collection as possible. O'Neill, The Original California Surf, Snow & Lifestyle Brand. O'Neill is originally a Californian surf wear and surfboard brand started in 1952 by Jack O'Neill. The company moved down the coast from San Francisco to Santa Cruz by the end of the decade. As Jack improved his wetsuits- new styles, features, accessories, etc., surfers' territories expanded. Northern California became a year-round surf zone. Guys were surfing New Hampshire and Rhode Island in January! Explorations and transplants opened up Oregon, Washington, and Canada. Meanwhile, divers, waterskiers, snow-skiers, and then windsurfers were wearing wetsuits. Jack is credited to have invented the wetsuit, his son Pat the leash on the surfboard. The company logo symbolizes a breaking surf wave. "O'NEILL" and the "Wave logo" are trademarks registered worldwide. By 1980, Jack O'Neill's surf shop had morphed into a thriving international company, dominating the world's wetsuit market and one of the leaders in beach lifestyle sportswear in the U.S., Japan, and Europe. Learn more about the O'Neill men's clothing & accessories brand. If you have changed your mind and do not wish to research the brand O'Neill, you can use the search engine on this page to find another clothing label that may be of more interest. Apparel Search is a leading guide to fashion, style, clothing, glam and all things relevant to apparel. We hope that you find this O'Neill page to be helpful.